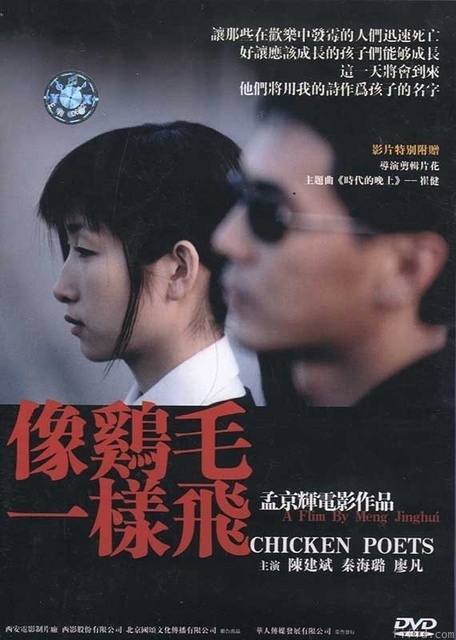 Undecided about his future, Yun Fei, an unknown young poet, goes to visit an old university friend in the suburbs of Beijing to seek his advice. He discovers that his friend has gone into business, and is successfully breeding black chickens. Discouraged, and on the point of giving up writing, Yun Fei meets a young girl who can't see colours, who encourages him to persevere. But even this new relationship is not enough to inspire him to write. It's at this point that he buys a pirate record whose magical powers bring him the success he's longed for. Sudden fame does not seem to solve everything, however. This first film, a deliberately allegorical visual fantasy, focuses on the 30-something generation in China, who have to adapt to a materialistic society very different from the political utopia of their childhood.